2-Day Turnaround! 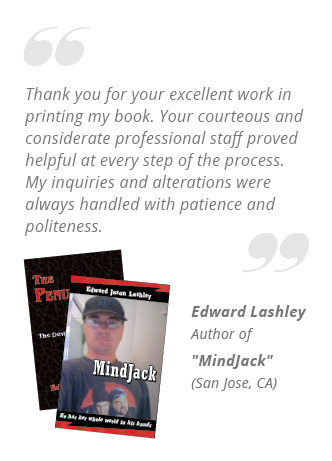 We print books in 48 Hours Guaranteed. Hard-cover books and Coil bound books are done in 5 days. Great Customer Service! We actually answer our phones. Really! Give us a call ... 800-231-0521. Easy Ordering! Simple, quick step-by-step ordering. But if you have any questions, just give us a call. We're here to help. Are you writing a Family History? Here are some tips from 48 Hour Books on how to make a family tree book. Compiling a family history can seem like a daunting task. The first decision you must make is deciding what the primary use for your Family History book will be. Will it be a keepsake for other family members? Or is it a genealogy book that you are going to market and sell? Depending on the answer to this question, you may want to take a specific approach. Are You Just Getting Started with Self Publishing? Add LOTS of Photos ... As Many as You Can Find! Example of color photos printed on Cream paper. A great way to display your family history is through your use of photography. There's nothing quite like seeing priceless photos of your ancestors, historical documents, etc. They can really make a genealogy book come to life. 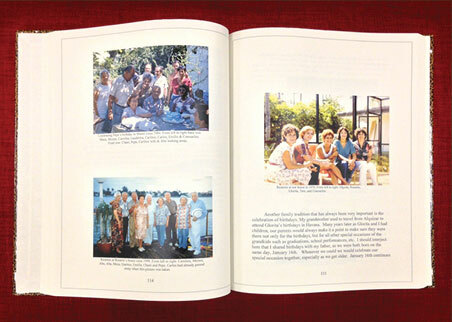 At 48 Hour Books we can print black-and-white photos as well as full-color photos. We can even print combination of both, so if you have 30 black-and-white photos and 10 full-color photos, we can handle that. And if you've got color images that you want to be in black-and-white, we can convert them to grayscale for you. If you need an inexpensive way to add a number of full-color photos, consider grouping lots of photos into a color section in the middle or at the end of the book in a montage format with captions. If your book contains a lot of color photos, we recommend 80# matte text paper, rather than the standard 60# white offset. If you are including photos, be sure to have them already placed on the inside pages of your book before you upload your PDF files to us. Many Family History books include photos that have been scanned from old scrapbooks. Make sure all of your photos are high resolution. If you're scanning old photos, be sure to set your scanner on the photograph setting and set it to at least 300 dpi (dot per inch). If you're taking more recent photos off of webpages (like Facebook, for instance), they may be low resolution. Zoom in to 200% to get an idea of how good or bad they'll look when printed. If they're not good enough, try contacting whoever took the photo and see if they have a high resolution version that they can send to you. Take advantage of the online resources that can help you to investigate the history of your family and compile information. Websites like ancestry.com and myheritage.com provide information on your family's history, simply by entering your name into a database. These sites also help to generate family trees, which are great additions to family history books, and depending on the site, do not require a subscription to create. Other online resources to consider are genealogy software that help you organize your data and research. This software may cost money, so be sure to search for sites with free trials. When you are choosing different software to use, be sure that you are able to export any graphics or documents you want to use in your book, into PDF format. It is important to have a clear vision of how you want your family history book to be set up. You should first determine the size and type of binding. You can type your book directly into the family history book template and set it up any way you choose. Be sure to choose the right page size, and when you're done formatting, simply convert the file to PDF format, and the resulting PDF file will be ready to upload to us. You'll upload your files directly to your order, so you'll need to place an order first on our website. If you get stuck or have any questions, remember, we're just a phone call away ... 800-231-0521. If you are creating a family keepsake, these can in some ways be less formal with more personal touches. When designing the cover, you might decide to make it more fun by showing a group family photo or by using a playful design. But many authors choose to put the best old photo of the family patriarch or matriarch on the cover, with the family name and the span of years that the book includes. When writing your Family History, there are different approaches you can take when it comes to organizing the material. You can take a strictly narrative approach, where you set up your book in chapters and chronologically narrate the history. You can incorporate photos in each chapter, or a montage of photos in the middle or at the end of the book. If you are writing a genealogy book that you plan to sell, you may want to take a more structural approach with different sections, based on significant periods in your history. Family Histories can have a dense amount of material, so it may be useful to include an Index in your book. This way, if readers want to look up a specific name, they can use the Index to quickly find it. Creating an index can be a daunting task, but with a little effort, you can do it fairly painlessly. 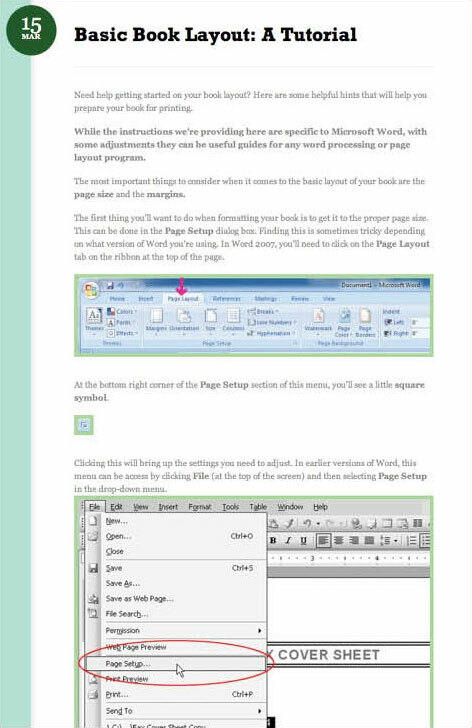 Be sure to look up the "how-to" guides on Microsoft Word to help you create your Index the proper way from the beginning. If you follow Microsoft Word's rules, you'll be able to update your index on the fly whenever you make changes to your book. With the wealth of information in your genealogy, footnotes can be very valuable. Certain terms, people or events may require more explanation, but you don't want to break up the reader's flow. Simply include a footnote or endnote with the deeper explanation. Again, Microsoft Word has detailed instructions on setting up footnotes or endnotes. Once you're finished writing your family history, you may wonder, "What do I do now? " Not to worry! Below we've outlined some steps to take that will get you started in the self-publishing process! According to the Library of Congress, your work is under copyright protection the moment it is created and fixed in a tangible form that it is perceptible either directly or with the aid of a machine or device. Basically, once you've written your book, you are automatically the copyright holder. So go ahead and put your information on the copyright page. Design the cover yourself: You can create your cover in three separate pieces (front, back, and spine) or in one piece that will wrap around the entire book. Choose whichever method is easiest for you! We have some helpful information about what size you'll need to make your cover available here. Of course, if you have questions or need some guidance, you can always give us a call and one of our techs can help! Choose our Create-a-Cover service: Our Create-a-Cover is an inexpensive option that lets you select the basic look of your cover. Then you upload whatever photos or artwork you'd like included, and we'll put everything together to make a professional book cover at a fraction of the cost. Check out more information about our $100 Create-a-Cover service here. Once the design work is done, and you're sure that your pages are the proper size, make sure all of your files are print-ready. We require PDF files for printing, so you'll want to convert your document into that format. You can convert your files to PDF by choosing "File > Save as > PDF" if your computer offers that option. If you don't see that option, you can try using our free PDF converter (available here). Or, if you're a new self-publisher and don't want to mess with it, just send us your Word files and we'll convert them for you for $50. Finally, a simple step! 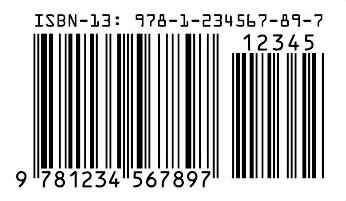 Our Cost Calculator makes it easy to determine how much printing and binding your book will cost. Fill out the cost calculator, and if you're ready to place an order, simply click the big red button. Our online ordering is fast and easy. Of course, if you have any problems you can give our customer service reps a call and they'll be happy to walk you through the process! We'll send you proofreading instructions along with your proof files. Be sure to review these before signing off! Open your family history book printing files and proofread them CAREFULLY. They should open in Adobe Acrobat or the free Acrobat Reader. Please pay special attention to make sure everything is exactly the way you want it. If something doesn't look right, contact us. READY TO SIGN-OFF? When you are finished proofreading, log into your 48HrBooks account, click on the "Signoff" link, and either "Approve" or "Reject" your proofs. But please remember, once you sign off, your books go into print. You won't be able to make any more changes. Here again, if your family history book is intended just for your family members, you can skip this section -- it won't really apply to you. Sell your book online. 48 Hour Books can ship books directly to Amazon if you provide us with shipping labels (you will need to coordinate this with Amazon ahead of time). See if other online booksellers will put your book up for sale as well! It also never hurts to have a website dedicated to your book. On your website, post information about you and about the book, including how to contact you to purchase a copy. That way, if someone is searching for your book online, they'll have a resource available with all of the information they'll need to know. Your Family History and 48 Hour Books -- A Great Team! Call us during normal business hours (Mon-Fri, 8:30 am - 5 pm EST) at 800-231-0521, email us anytime at info@48hrbooks.com, or check our website, www.48HrBooks.com for information on family history books publishing.